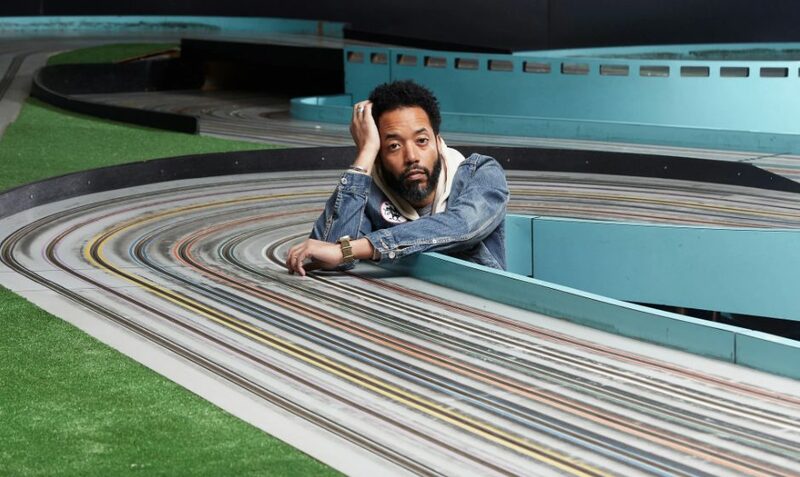 The creator of “Wyatt Cenac’s Problem Areas” crushes his competition at Buzz-a-Rama in Brooklyn, where model cars still rule. Wyatt Cenac was lapping the competition. He was speaking softly in paragraph-long thoughts about his HBO show, “Wyatt Cenac’s Problem Areas,” his love for animation and his relationship with his modest fame. Simultaneously, he was winning an unspoken competition at Buzz-a-Rama, the only place in New York City where a comedian can destroy all takers in a slot car race while seemingly not trying. Among the show’s executive producers are John Oliver and Ezra Edelman (an Oscar-winning documentarian), and its writing staff includes Emma Carmichael, the former editor of Jezebel. Mr. Cenac has a knack for choosing talented collaborators. And also, apparently, for slot car racing. “You’re doing pretty good,” said Frank Perri, as he watched Mr. Cenac’s initial runs around the circular track. Mr. Perri, whom everyone calls Buzz, opened Buzz-a-Rama in the Kensington neighborhood of Brooklyn in 1965. Now 83, he runs the place with his wife, Dolores. He stayed with Mr. Cenac until 2 p.m., when he had to rush off to host a birthday party for a 6-year-old boy named Rocco.